Top floor corner unit with spacious living room, 11ft ceilings, and extra study nook. Eat-in kitchen with white cabinets, granite counters, ss appliances, and walk-in pantry. Spacious master boasts walk in closet & gorgeous bathroom! Beautiful crown molding & hardwoods throughout. This charming building has community grills, bike storage, storage units, & plenty of parking! No rental restrictions. Walk to Botanical Gardens, Piedmont Park, Ansley Mall, and Beltline. Directions:Enter from the back alley of Building. From PT turn on 15th St. L on Lafayette, 1st R on Walker Ter. Small alleyway at end of Walker, in bt homes. Take it to the parking lot. You can also plug 33 Walker Terrace into your GPS, park on that street, and walk down the alley way just past that home. SchoolsClick map icons below to view information for schools near 1230 Piedmont Ave NE #401 Atlanta, GA 30309. Home for sale at 1230 Piedmont Ave Ne #401 Atlanta, GA 30309. 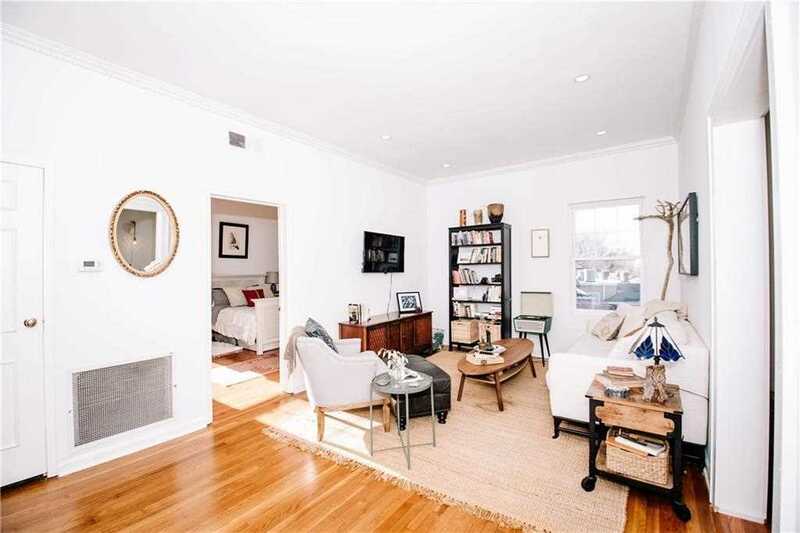 Description: The property at 1230 Piedmont Ave Ne #401 Atlanta, GA 30309 in the Ansley Arms subdivision with the MLS# 6124265 is currently listed for $245,000 and has been on the market for 84 days. You are viewing listing details of the home for sale at 1230 Piedmont Ave Ne #401 Atlanta, GA 30309, which features 1 bedrooms and 1 bathrooms, and 893 sq.ft. of living area.